Celebrity Inspired Winter Makeup Ideas. Now that you have found the perfect party dress and gorgeous nail art ideas for your New Year celebration event. Top it all off with a glamorous and demure or vampy and vivacious makeup look like the ones featured below. Read on to see the fabulous celebrity inspired makeup ideas that you should try! 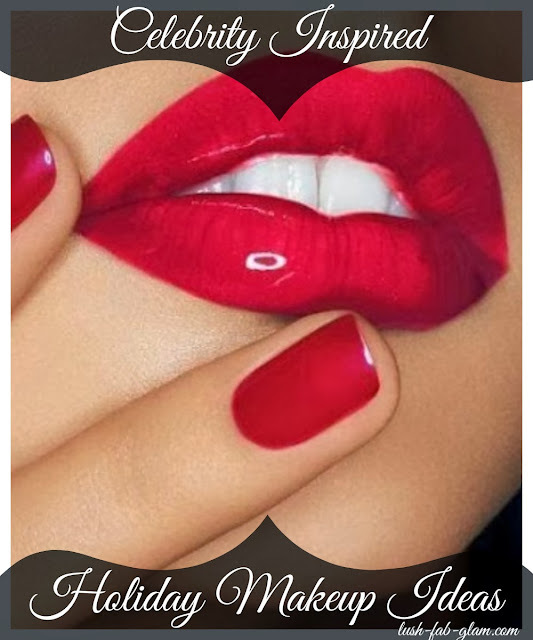 Red lips are red hot right now! Go for a bold and dramatic makeup look with smoky eyes and vamp red lips. Apply a matte lip color like actress Ashley Madekwe and singer Katy Perry or add more oomph by applying lip gloss on your red lipstick like model Miranda Kerr or singer Taylor Swift. * Fab tip: The makeup ideas below are perfect for a New Year gala or dinner party. Glamorous And Demure Makeup: Look glamorous for your party with a toned down more demure makeup. Make your eyes the focus of this beauty look and flirt with lip colors in pink, peach and berry. Go for a less intense version of the smoky eye makeup like Jennifer Lopez or make a glam statement with turquoise eyeliner on your lower eyelids like actress Jessica Biel. *Fab Tip: The makeup ideas below are perfect for a work party, sometimes less is more! Are you a vampy and vivacious or glamorous and demure beautista and which celeb makeup do you love? Share with us by leaving a comment below. Share these fabulous beauty ideas with your makeup loving friends! Is Ashley Nigerian cos her last name sounds lyk one?